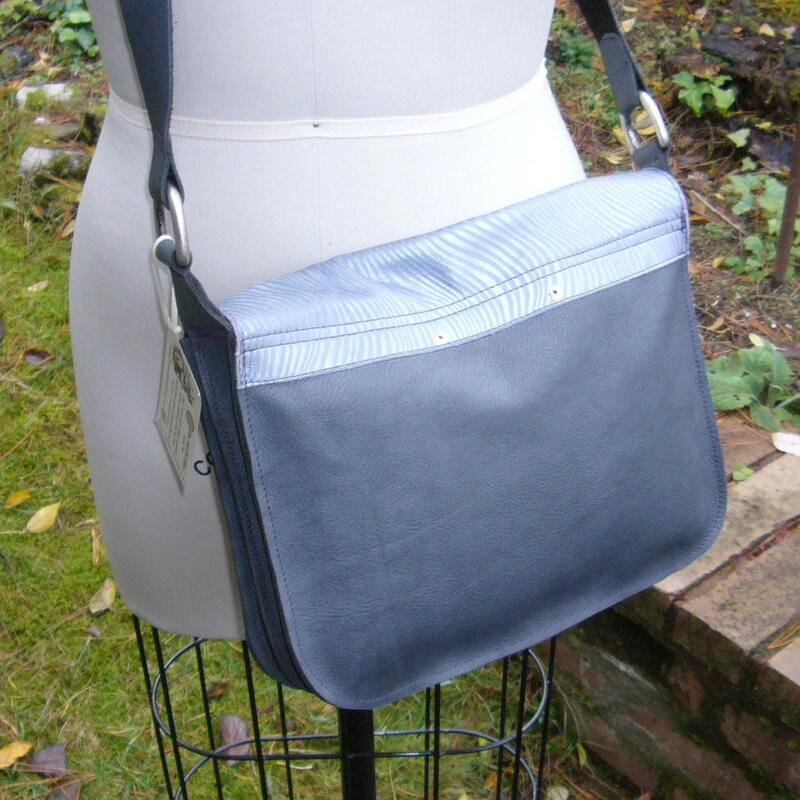 This satchel, or messenger bag, is sized to hold most tablets, or the old fashioned paper note book & novel. 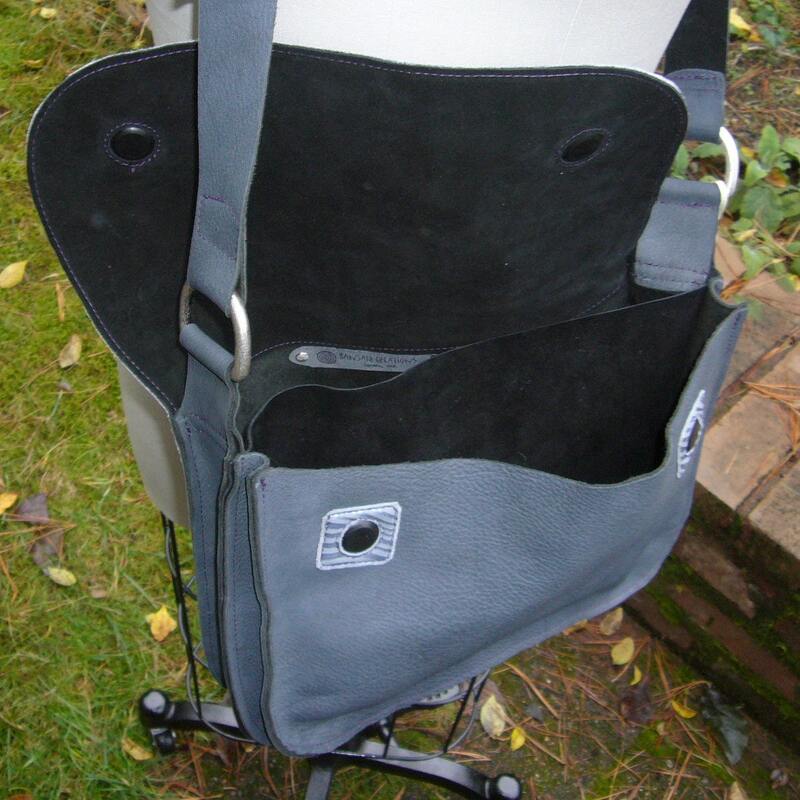 The satchel is 12" across, about 8" tall, and the front section is about 3/4" deep and the main section is 1 3/4". The "silver wave" flap is designer embossed cowhide, and the pattern is created with the depth of the embossing, but also the polished and matte texture. The flap secures closed to the bag body with strong low-profile magnets, which are sewn into the black suede flap lining, and flap material accent to the body front. Strong and supple slate grey top grain cowhide, with soft sueded back, forms the body, and thick split suede is used for the divider and flap lining. The satchel is stitched with lavender thread, which blends in, but is a fun detail. Another special detail is a solid nickel swivel snap "key keeper" in the main body. Large antiqued nickel dee-rings connect the strap to the body, and special buckle is used to adjust the length of the 1 1/4" wide strap. 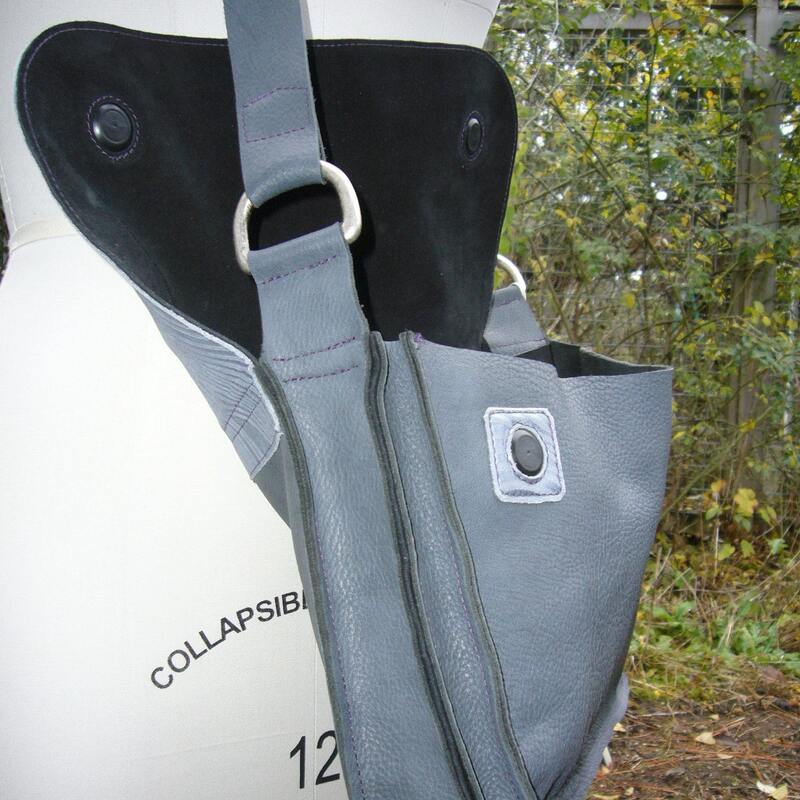 This is designed for cross body wear, and adjusts from about 36" to 46" long. 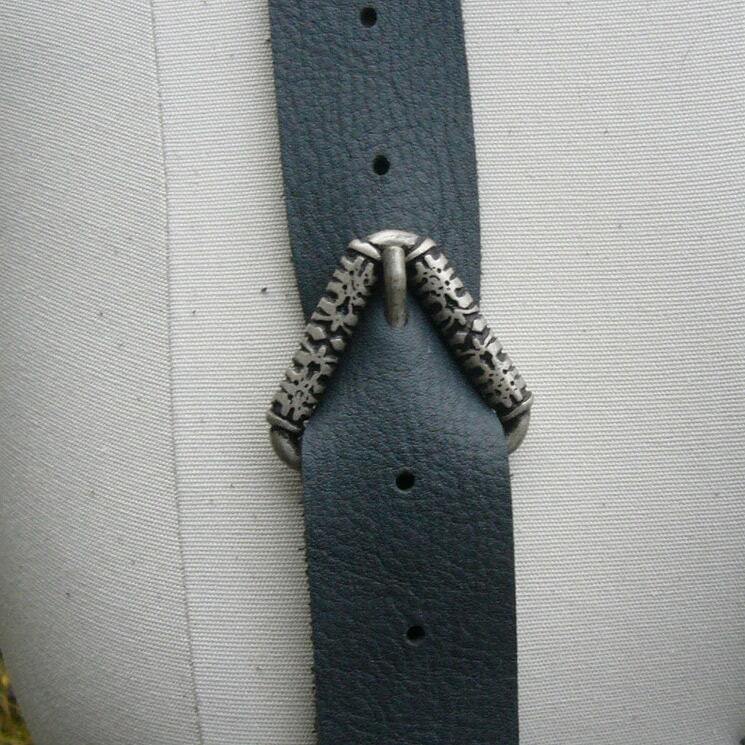 (I can punch more holes or alter the strap if you need it longer, or shorter). 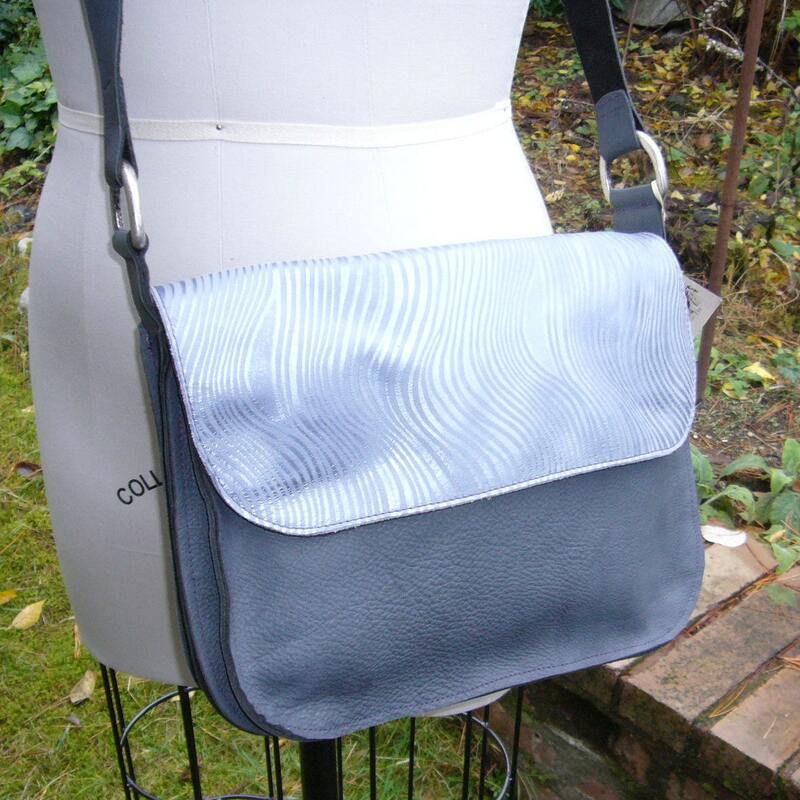 This is a one-of-a-kind bag, as I don't have any more of this gray leather.